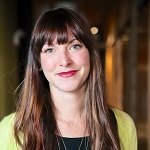 Jennalee Reiff is a Senior Strategist at a Austin-based digital experience agency, Springbox. In her current role, Jenna develops digital strategies for a number of the agency’s flagship accounts. Allstate, AMA, IBM, Cylance, AffiniPay, Logix, Blue Prism, Ottobock and more.